Carhartt Quilted Flannel Lined Duck Active Jac is made from 12 oz. firm hand 100% ring spun cotton duck. Quilted flannel body lining with quilted nylon sleeve lining for easy on and off. Attached hood is also flannel lined with drawcord closure. Heavy duty brass zipper front. Other Active Jac features include two large lower front pockets and two inside pockets. Rib knit waist and cuffs provide comfort and help keep out unwanted drafts. Triple stitched main seams for the added durability you expect from Carhartt. 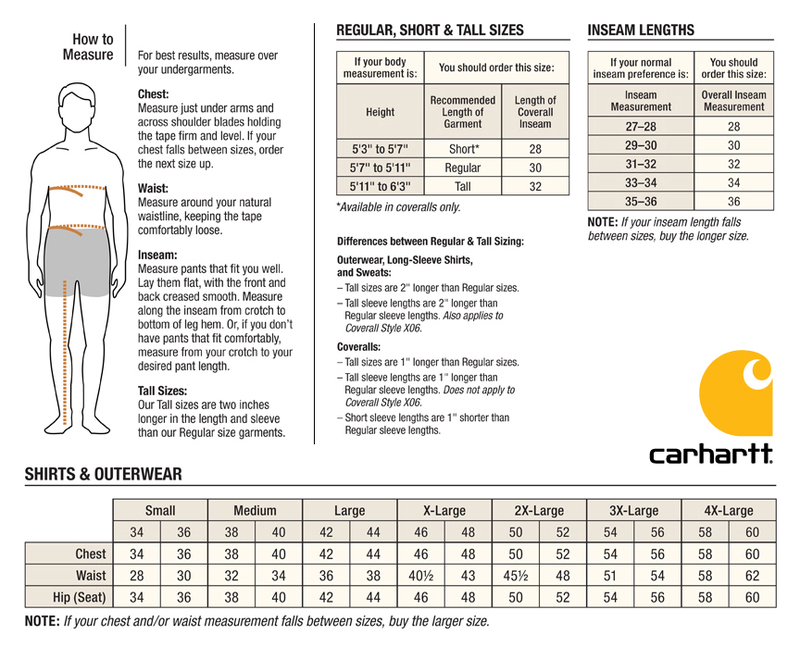 Back Length for the Carhartt Active Jac is 29.0 inches for large regular size and 31.0 inches for large tall sizes.